As an avid hiker and camper, I have pretty much mastered the ability to keep peanut butter, crackers, canned tuna, and fresh fruit safe to eat. It is so simple. All I have to do is pack my backpack properly. What I mean by properly is to make sure that the fruit and crackers are on top. I can remember every trip I forgot this basic step and ended up with juice and cracker crumbs. While you may think I have learned my lesson, I always have to have a refresher course at the beginning of the season and a post-it on my backpack. Below are tips on how to keep your camp food safe for both backpackers and modern day campers. When it comes to packing a backpack, the first rule is never to pack frozen items. A standard hiking backpack is not designed to also be a cooler. Next, utilize the pockets when possible. Filling easily accessible areas on and in the pack will prevent you from having to unload the entire backpack to find a snack. Finally, organize the pack according to when you would like to use it and layer the food according to how it is packaged. Cans and jars can go on the bottom of the pile while items that are easily squished should go on top. If you want to really be an organized backpacker or if you are hiking/camping in an area with bears, consider creating a knapsack that is just for food. This can then be attached to your backpack for easy access and/or for removal when one needs to bear-proof a campsite. To do this properly, you will first need to use a little science. But before we get into to that, I have a question for you. Which size ice melts quicker? Is it ice cubes or blocks of ice? If you answered blocks, you were correct. The larger the frozen water is, the longer it will last. If you create your own, you can get double duty of the ice. 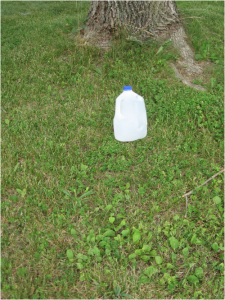 What I mean by that is to freeze water in cleaned out milk jugs. Once the ice has melted in the jugs, you can then use it as drinking water. Also, the position of the ice is very important. Cold air travels downward and to get the most from your ice remember to pack it on top. In doing so, the cold air will travel down through the cooler instead of staying at the bottom. The next item you will need is two coolers. While I see many campers trying to pack everything in one cooler, this is not the best way to keep your food safe. In the first cooler, one will need to pack food that is already frozen and/or already cooled. This can include frozen vegetables, hash browns, juice, and even milk. Once you have the food for this cooler out, begin to layer it in the cooler according to when you are going to use it. The items that you plan to use later in the week should go in the bottom. Place the items that are going to be used in the next few days on the top. In between the layers and along the side, place the frozen milk jugs. The second cooler should be filled with your perishable items, which includes meat, eggs, and butter. Prior to placing your meat in the cooler, make sure to double wrap it. Also, place the meat in the bottom of the cooler. This will keep any meat juices from contaminating the rest of the food. Layer this second cooler as you would the first cooler and pack with the frozen milk jugs. Regardless of how you are camping, place your food storage cooler and/or backpack in a shady area and cover it with a blanket. Also, if you are using a cooler, plan when you are going to open the cooler. This will keep the items colder longer. Once you see all the ice has melted, dispose of any food leftover.